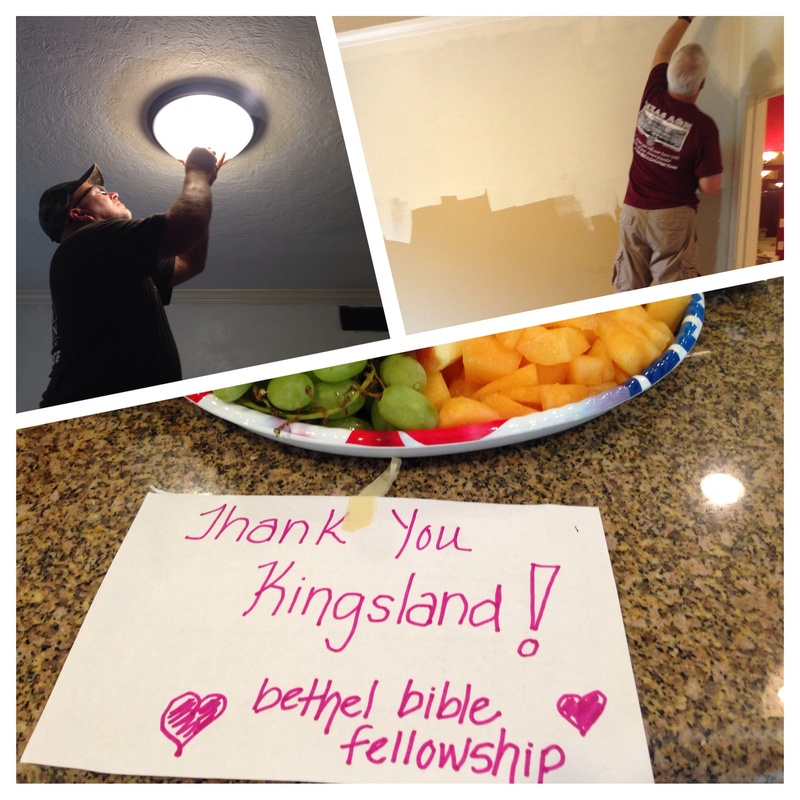 For the past nine years, our missions ministry has mobilized thousands of Kingsland volunteers to engage in service initiatives around the community. We have only had to cancel less than a handful of our outdoor initiatives because of really bad weather. But, not always. A few years ago we committed to do some landscaping for our friends at Iglesia Sobre La Roca (Church on the Rock). Our volunteers laid more than twenty pallets of grass — in the rain! 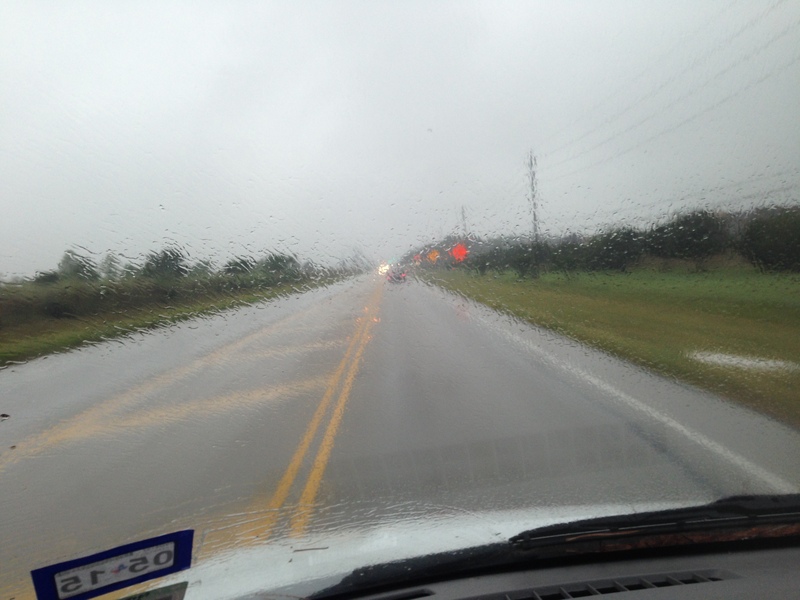 This morning was one of those days when it rained in biblical proportions in Katy. 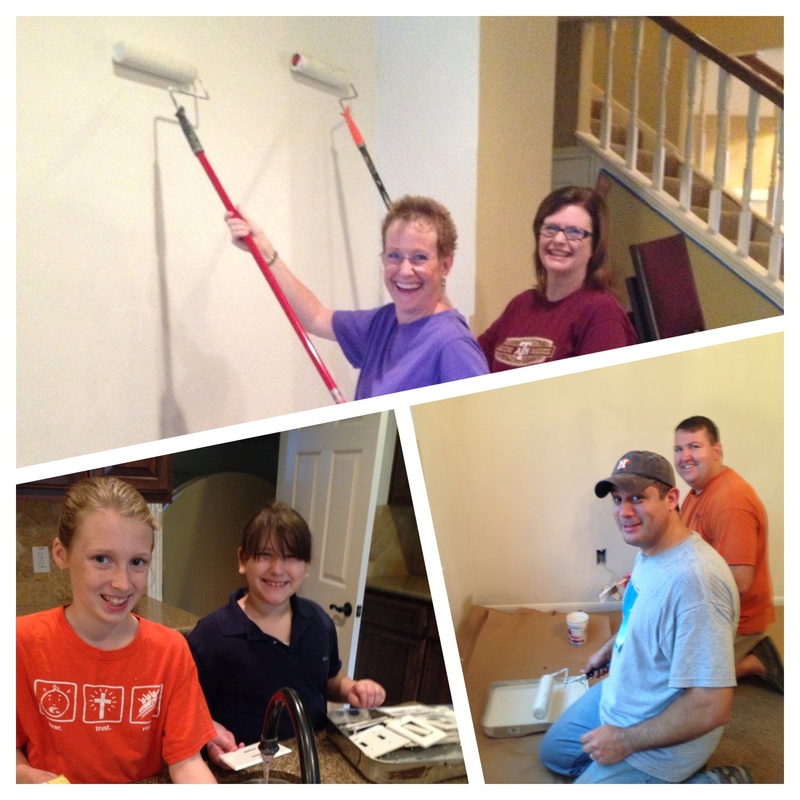 But, in spite of the rain, volunteers from our Outfitters and Extreme Makeover Adult Bible Fellowship groups showed up to do interior painting at Bethel Bible Fellowship’s new campus. Over the past few weeks we have assisted Bethel with projects on their new property. Today, our volunteers did an amazing job of installing new lighting and painting the interior of Bethel’s small group space. The paint dried slowly because of the humidity, but we managed to paint every room. Our Outfitters ABF is one of our younger groups and brought their kids along. 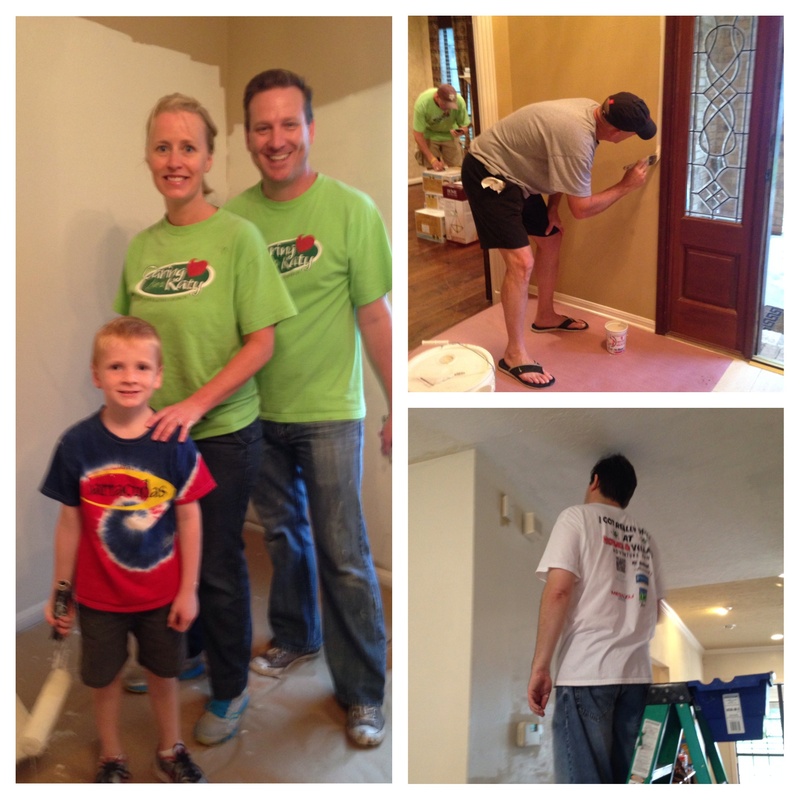 I absolutely love seeing families make special memories of serving together. We had plenty of kid-friendly tasks. The presence of children always makes our projects more enjoyable. We are intentionally fulfilling our purpose statement of equipping the next generation by giving our kids opportunities to serve others. I will have to wait until we are all in heaven to hear the stories of how the kids we are training today served the purposes of God in their own generation. I am grateful for our bad weather warriors. It would have been so easy for them to stay in bed this morning or to use the rain as an excuse to stay home. Instead, they got up, showed up, worked hard, and helped us to bless our newest daughter church. They exemplified what it means to go beyond. Thank you all for your service.